← Good progress being made . . . The first half of the year saw good progress in a number of ways. The GRIP 1 and GRIP 2 reports had been reviewed and set a foundation to move on to the GRIP 3 stage (“option selection through to approval in principle”). Mott MacDonald – had agreed to carry out the GRIP 3 work and reports. An Integrated Transport report (based on Magor and Undy) was completed by the UWE post-grad student, Chris Waller. 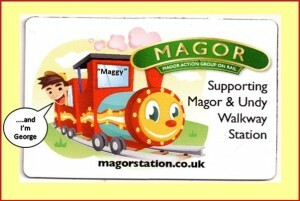 MAGOR gained representation on the Three Field Community Trust consortium. Although we had gained great support from Assembly Members and MPs, we had not made the engagement with the relevant departments in Welsh Government. Only partial funding for the GRIP 3 stage had been identified. 2016/17 Plan revision (Click here). We have pushed the engagement with Welsh Government back towards the end of November. We hope to have sufficient funding identified to start GRIP 3 (first 2 phases) by the end of December. We expect GRIP 3 to be fully completed by the summer of 2017 but to have completed “The Initial Economic Appraisal and Demand Forecast” and the “Option Selection Report” by April 2017. The “Strategic Outline Business Case and Approval in Principle”, the third phase, will be planned for 2017/18. We now have a meeting set up with Welsh Government officials. Ted Hand and I will be meeting the Rail Programme Director, Regional Transport Manager, Head of Infrastructure and one other on November 16th to present our case. We will be submitting, jointly with Monmouthshire County Council, a revised application to Network Rail’s ‘New Station Fund’ in the next few weeks. This fund can contribute up to 75% of the build cost of a new station.